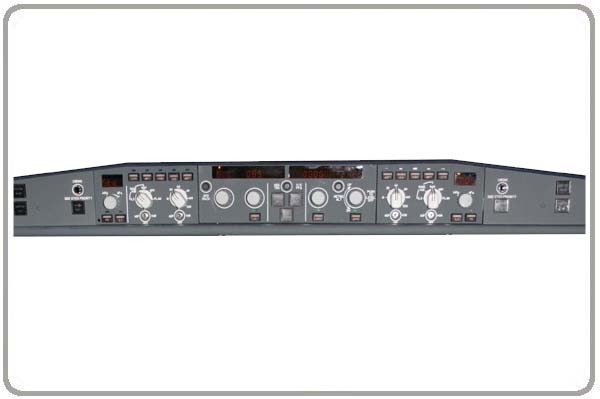 The A320 FCU / Glareshield section comes as a complete preassembled unit. Both glarewing panels, both EFIS and the FCU are included and functional. The push / pull rotarys switches have the typical very heavy tactile feel and have been approved by real world pilots. Also the other push buttons are very very strong and can really be used and pressed without worrying to damage the parts. The complete Glareshield comes installed on an aluminium base giving you the maximum in realism and functions. USB interface and backlighting as well as WHITE or AMBER displays are mandatory. The Captain side only is available as an option.